If you need repair or service in Pleasanton for your GMC, Domestic Autopro is the right place for you. Over the years, we've earned an excellent reputation in the community of Pleasanton as a professional and reliable GMC repair and service shop. Our skilled and trained technicians have years of experience in performing top-quality GMC service and repair. 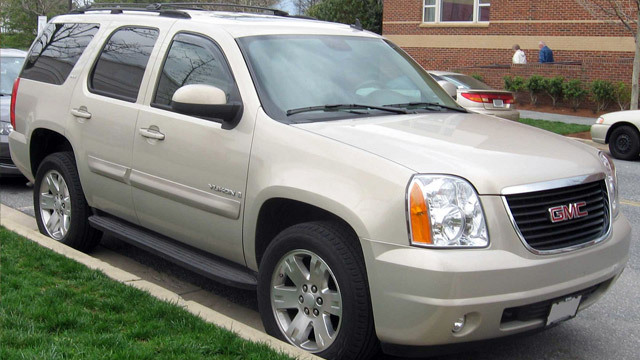 We use only state-of-the-art technology to quickly and accurately diagnose your GMC vehicle. As soon as we diagnose the problem, we inform you about what needs to be done and how much it would cost you. We completely understand that our customers have a certain budget for repairs and services and because of that, we have affordable and reasonable prices. Domestic Autopro is a well-known auto repair shop for high-quality GMC repair and service in Pleasanton. GMC drivers in Pleasanton want a good car care for their GMC vehicles. They know their cars will last longer and run more efficiently with the help of a regular maintenance. That's the main reason why they bring their cars to us. Our GMC service is guaranteed for up to 24 months\24,000 miles because we are confident in our certified technicians and our diagnostic equipment. At Domestic Autopro in Pleasanton, customer service is our top priority. We know that in order to earn your trust, we have to make sure that every visit you make to our shop counts. We want you to be part of our family. Our staff is knowledgeable, professional, and dedicated. That's the main reason why Pleasanton residents come to us whenever they need quality GMC service and repairs.